And this shift is not just metaphoric but metamorphic, affecting all aspects of our enterprising futures: from care provision to car manufacturing, from board-room behaviour to our everyday conversations and creative undertakings. Gone with the winds of change is the out-dated logic of yesterday (with its control-based top-down risk-averse myopic bureaucracies). Enter the logic of living-systems (locally-attuned, life-supporting, empowering, networked, self-organising, for-purpose enterprises). Future Fit is a response to this: it is a practical workbook for those of us involved in the future of business. ‘Many books call for new ways of thinking for modern leaders but until Future Fit none have provided such wise, well researched and practical approaches to guide leaders facing deeply complex challenges. In this compelling workbook Giles Hutchins is at the forefront of synthesizing new logics for business with the natural rhythms of life and the human mind that will revolutionize business. Future Fit is a must read for every leader who wants to continue being successful or to move beyond what currently feels like impossible challenges. As an experienced Chief Executive I cannot recommend this powerful work highly enough.’ Dr Lynne Sedgmore CBE, Former Chief Executive of 157 Group, Centre for Excellence in Leadership UK, and ranked one of the UK’s most influential people in Debretts 2015 List. 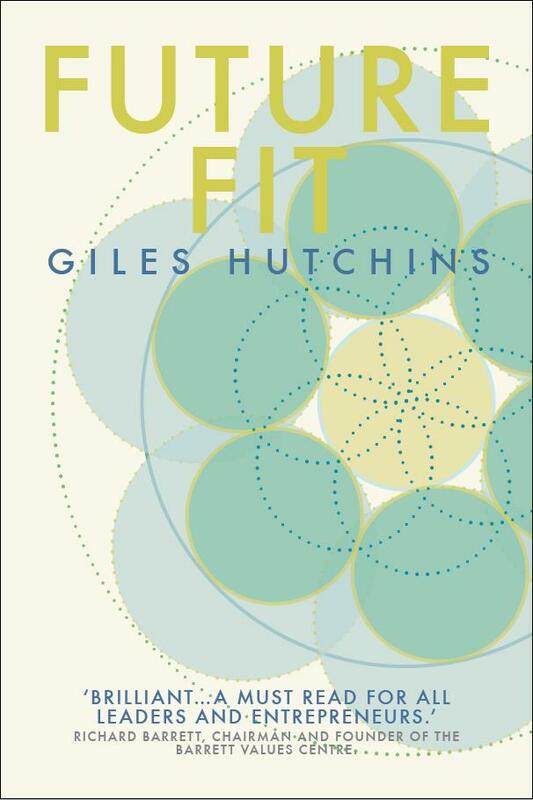 ‘Future-Fit builds on Hutchins’ previous books and stellar experience as a consultant. Here are critical inquiries, practical steps, and transforming actions to take, that offer lifesaving radical surgery for humanity and the business world. With breath-taking flair, Hutchins insists on convergence between soul-truth and organisation purpose, and between effective leadership and inner stillness. He dismantles illusions and articulates a bold and sophisticated vision of organisational sanity and new understanding. Implicit in his argument is that changes which are faltering, cosmetic, minor, sluggish, or embarked on less than whole-heartedly are woefully insufficient: given the world’s plight, both in its human and non-human dimensions, we need an intense seriousness of purpose and a revolutionary scale of re-thinking and action – all of which demands new levels of human maturity. He shows many ways of getting there.’ Dr Malcolm Parlett, author of Future Sense, Five Explorations of Whole Intelligence for a World That’s Waking Up. ← What’s next for our human family? Brilliant! Well Done for getting it written and out there.